Looking for a Fun, Warm Place to Volunteer?? You are invited to attend a training for community members interested in giving tours, planning programs, taking care of Orchids or helping in a variety of ways at the Dr. Joe and Alice Rinard Orchid Greenhouse on the Campus of Ball State University. Community members, who are interested in and willing to learn more about orchids and working with a variety of age groups are encouraged to attend. Requirements for volunteers include attending one additional training after you complete the initial one. 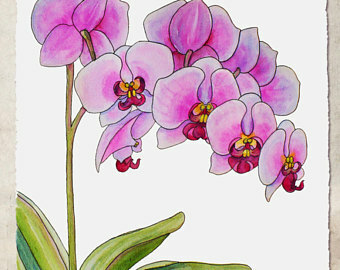 Check out our website at www.bsu.edu/orchids. If interested in Registering for the Volunteer Training, please e-mail Cheryl LeBlanc, Curator at cleblanc@bsu.edu or call 765-285-8839. Parking is available near Christy Woods on the Ball State University campus. No permit required on Saturdays. For questions, contact Cheryl LeBlanc or call 765-285-8839.